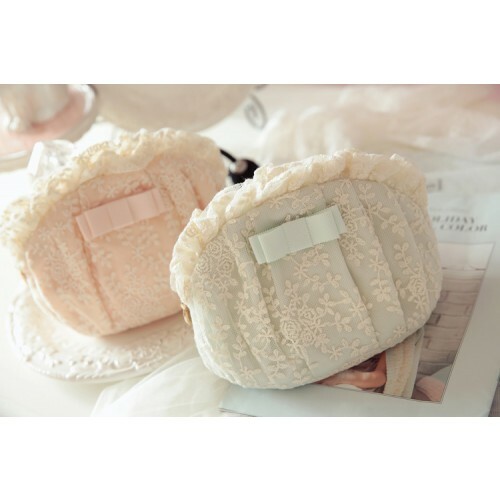 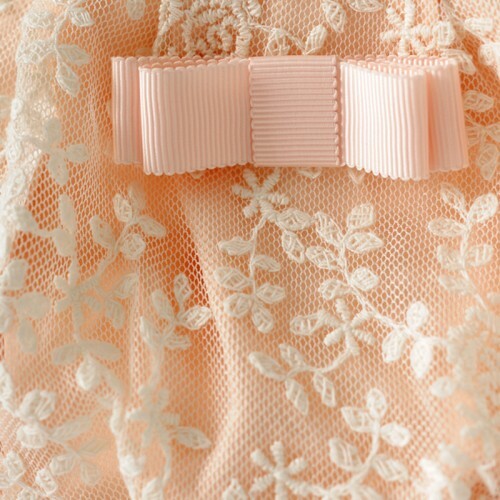 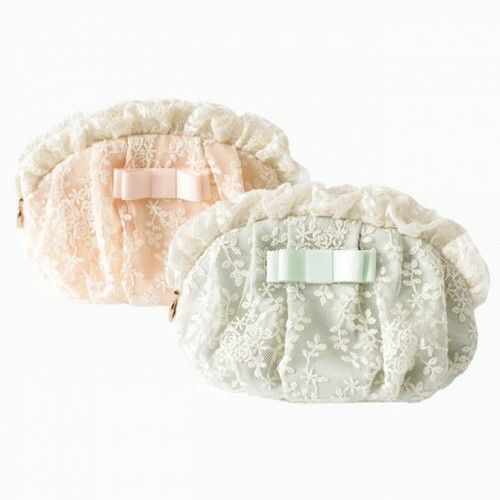 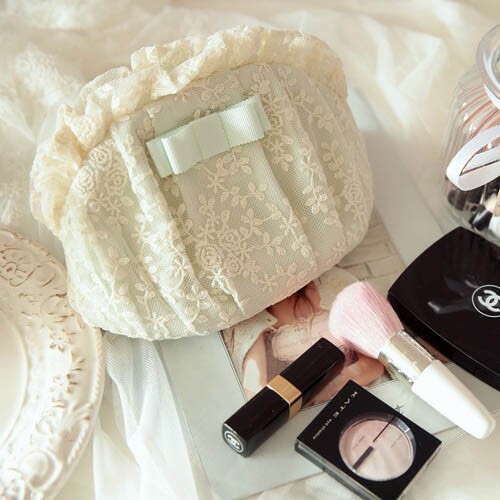 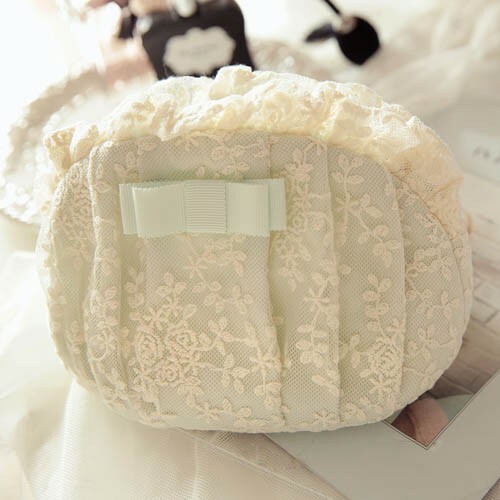 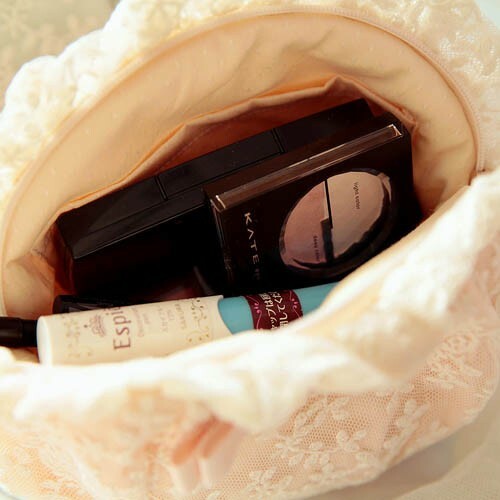 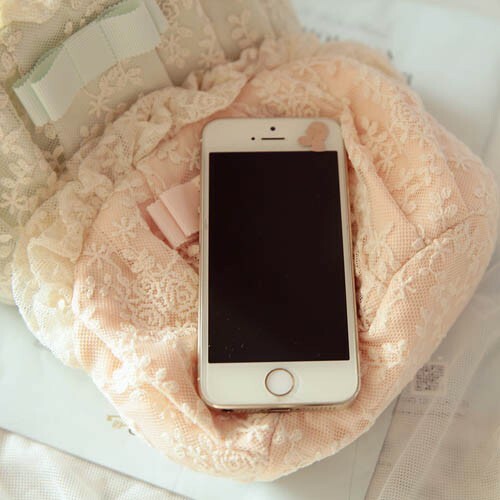 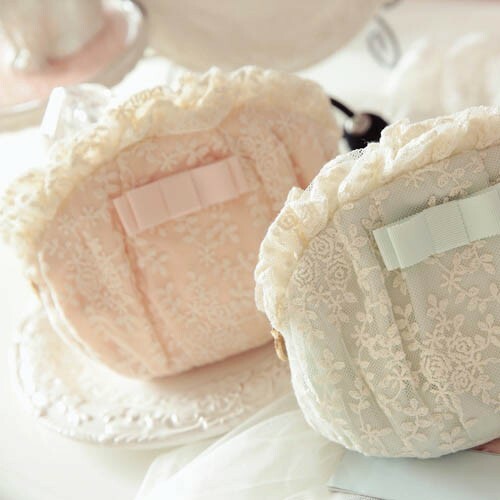 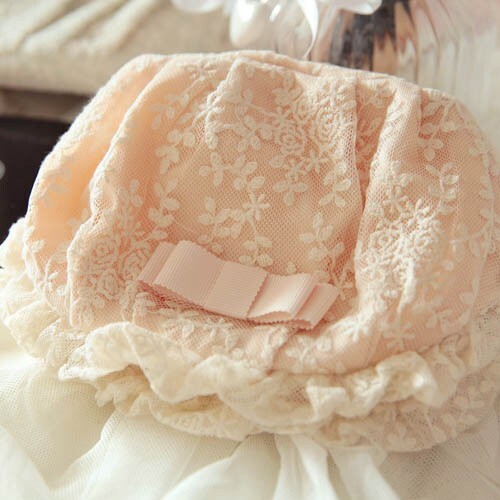 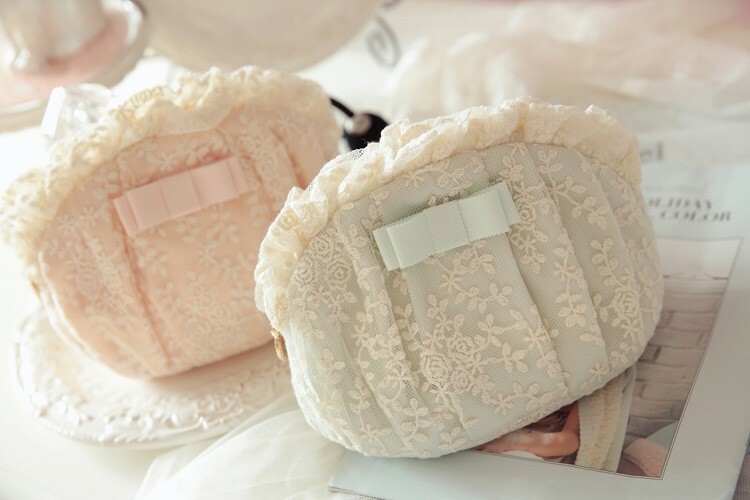 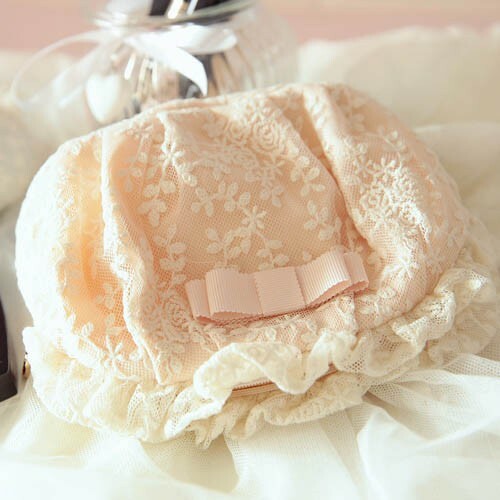 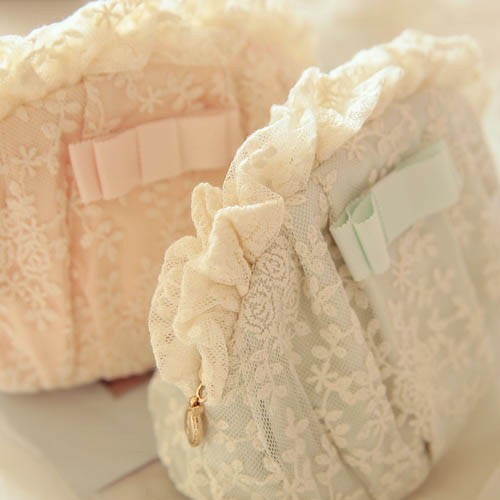 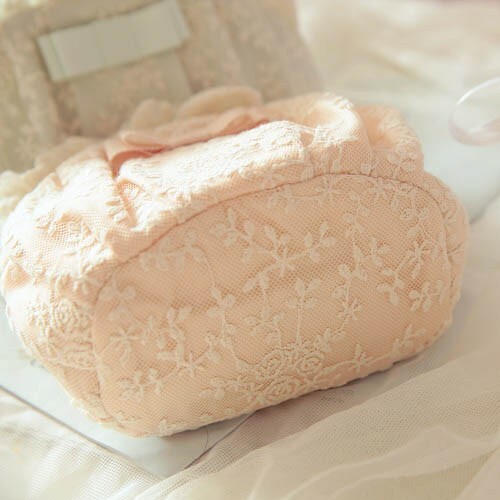 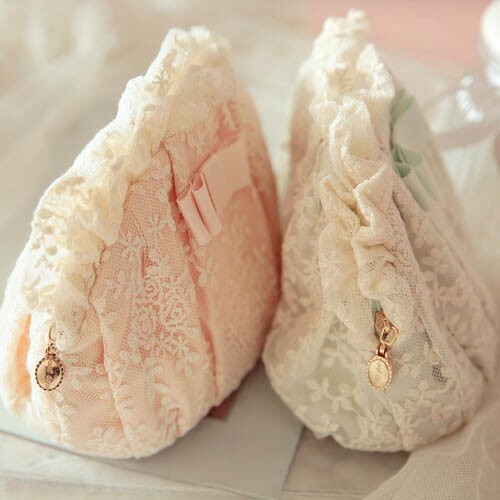 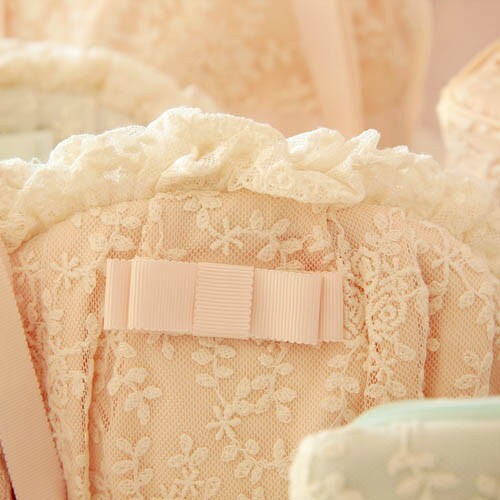 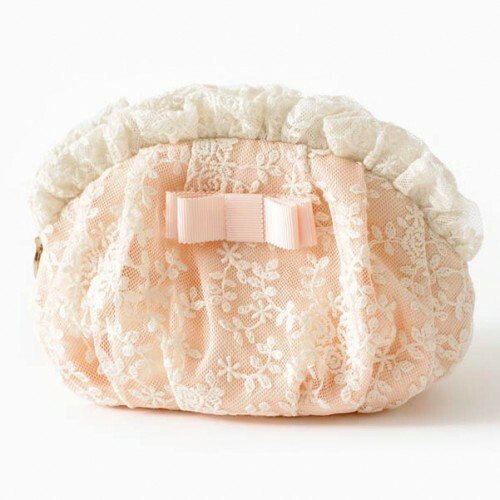 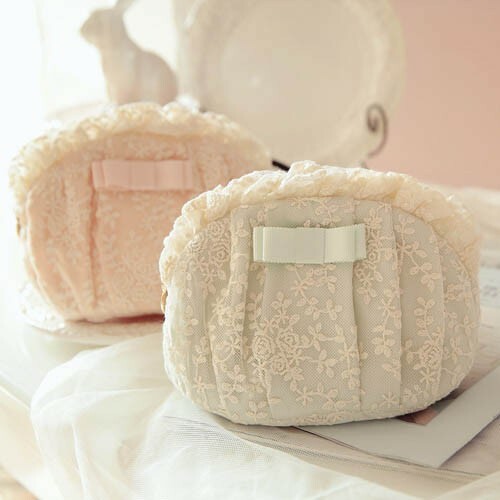 The bag is just gorgeous and it is made so beautifully with the delicate embroidered lace. As well as make-up, this little bag is perfect for storing hair accessories, jewellery, sewing items, phone/laptop wires etc. 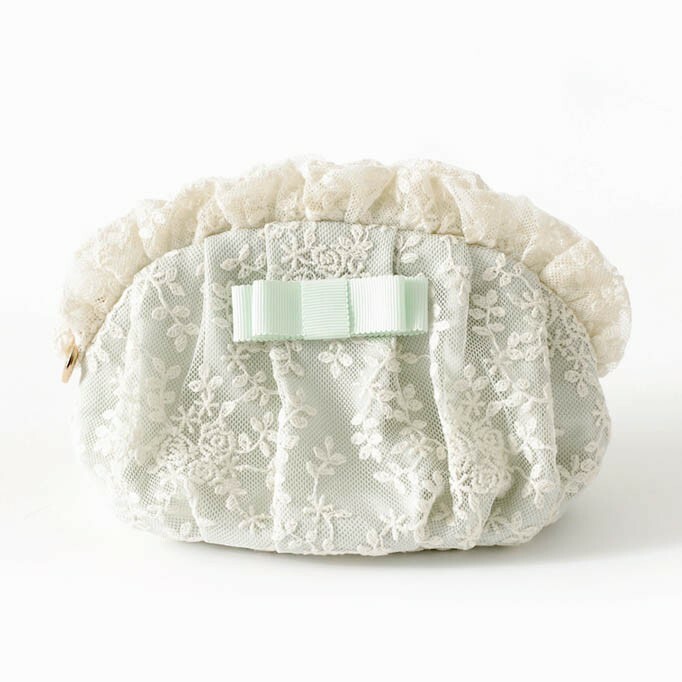 or it could even be used as a pretty handbag tidy! 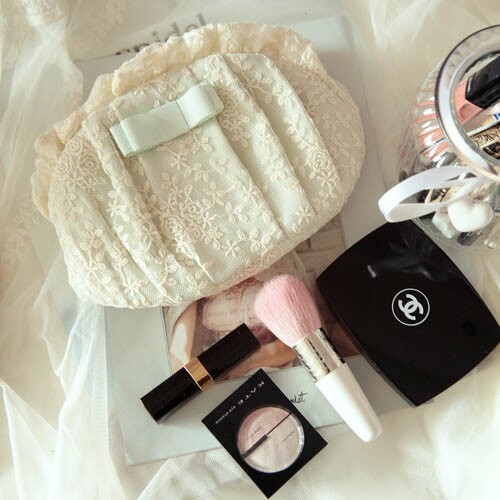 Price includes one make up bag .